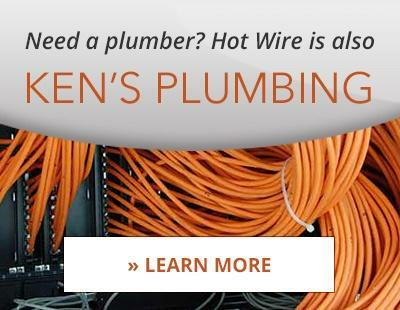 The Diamond Club is a private membership service with Hot Wire Electric. Members of the Diamond Club are protected from the annoyance of waiting around for someone to repair their electrical panel, outlets, or exposed wires — if a problem occurs, Diamond Club members go right to the top of our service list. You’ll receive priority service every hour of every day, without having to worry about the damage that can come from electrical emergencies. Are you preparing to move to a new home, but staying within our areas of service? Diamond Club members can transfer their club membership to their new home, or the current home’s membership can be transferred to a new owner. Why Should I Sign Up For The Diamond Club? Priority service — your repair is moved to the top of the list! All of your receptacles will be checked and tested for proper wiring and smooth operation — any minor adjustments are FREE! Membership in our Diamond Club is $120 a year but is valued at over $200! Give yourself reassurance and peace of mind, knowing your household is at the top of our service schedule whenever you need help, and that we’ll be regularly checking up to make sure that we can catch the little problems before they turn into big ones. Interested in Diamond Club membership? Give us a call at (864) 679-4444 or fill out our contact form today!